Your Wedding Dj can be one of the most important features of your big day – so it goes without saying that it should be a success. Your guests will easily forget a bad venue but bad Entertainment can make the night a disaster, and memorable for the wrong reasons. Wedding Dj Birmingham are more than happy to meet with you to talk more about what you require. We can meet you at your home, workplace or at the venue you have booked. All this helps to make your special day run as smoothly as possible and leave you with one less thing to worry about! We just don’t supply Wedding DJs in Birmingham. We cover a massive area of the UK. These include the Midlands, Leicestershire, Derbyshire, Worcestershire, Warwickshire, Shropshire, Oxfordshire, Gloucestershire and Herefordshire. 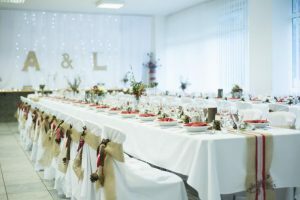 The Parties we cover includes Weddings, Birthdays, Christening, Anniversaries, Christmas, Work and leaving parties and much more. 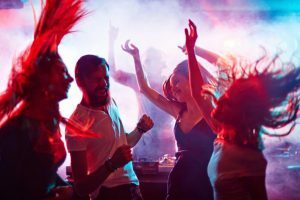 Multiservice Company providing a high-quality Wedding Dj to go With Your Wedding Disco, or we can provide just a Dj if you have got your own equipment. Wedding Dj Birmingham have undertaken weddings all around the UK and being a family run business we know how stressful a wedding can be. Wedding DJ Birmingham has made to measure Covers which come in several different sizes and styles to fit all types of banqueting Chairs. Our Chair Covers are crease resistant poly-cotton made to a high standard and are available in white or Ivory. For all your Balloon Needs. We Come to your venue and decorate your venue with lovely Balloons. Helium or air, latex or foil, brighten up a sad face or a party venue, Balloons to cater for every occasion or function. We at ‘Wedding DJ Birmingham’ can provide LED Uplighting or Uplights, which is the perfect way to colour wash and transform any venue, function room or marquee.